The month of March has been a busy one on the CMI event circuit, with Content Marketing Sydney, Content Marketing Singapore and Intelligent Content Conference all taking place within a 14-day period. Here are some insights from Sydney that are applicable to our Content Marketing World attendees. 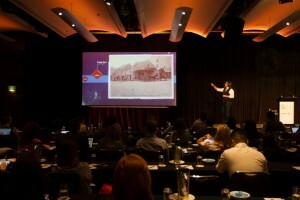 Virgin wombats, meatloaf odysseys and Aristotelian rhetoric – Content Marketing Sydney was far from your typical conference. As a former journalist who has embraced brand storytelling, the 4 days I spent with the CMI team in Sydney and Singapore has been a highlight of my journey into the industry some 18 months ago. Bringing together the world’s most exciting content marketers and storytellers, the event inspired an audience to radically change their approach to content marketing. So, what does this look like? And – more importantly – how can a change of approach overcome endemic content marketing challenges? While the answers to these questions are invariable nuanced, there are common solutions marketers can draw upon. For those unable to attend, here are the key takeaways on how to transform content marketing into, as Robert Rose described it, the blood that flows through a company and unifies it. Research from the Content Marketing Institute shows that only three out of 10 marketers believe their content is effective. The question is – why? The major problem, according to the presenters, is a failure to understand content as a commodity independent of a company’s products and services. Too many marketers approach content as a campaign. Rather than make a commitment to a content strategy, they set out on short-term, frenzied content outbursts and are inevitably disappointed when they fail. More content does not equate to more value. According to the Content Marketing Institute, marketers who have written strategy are 64 percent more successful than those who don’t. The Book Video Club offers short video summaries of business books. The project is run by Board Studios, a New York-based video company specialising in business storytelling. With the Book Video Club, Board Studios have successfully created a ‘content club’. The content is the asset. The videos demonstrate what Board Studios can do while providing a product that is sought after. “We need a blog!” – this, according to Andrew Davis, is how most content marketing campaigns begin – and fail. Engaging content is not a box to be ticked. It is not an afterthought or quota to be met. Engaging content puts the story first. But, as the speakers of Content Marketing Sydney explained, many marketers struggle with this concept. They plan tactics (blog), then create content (posts), then set goals (likes/shares). This process produces content on auto-pilot. Every Monday there is a new post, but who is reading it? Is it providing any value? And does it push customers along the path of purchase? In most cases, the answer is no. Content for content’s sake does not work. It is the story that counts. Blogs, videos, podcasts have no meaning except as vehicles for ideas. For marketers used to thinking in terms of ‘print campaigns’ and ‘digital campaigns’, this can be a challenge. In order to create engaging content, marketers must shift their perspective, they must become journalists, storytellers, educators. Instead of flooding all possible channels with content, brands should focus on creating high-quality, relevant stories that their customers actually want to read. While this may seem like an obvious conclusion, it can be harder to put into practice. Produced by IT company SunGard, the Zombie Apocalypse Disaster Recovery/Survival Guide was a highly successful e-book and email campaign designed to sell disaster recovery services. With lines like, “We haven’t heard from you in a while. Are you among the walking dead?” the Guide playfully appealed to clients to seek out their products and services. Not only did it provide a fresh perspective, it let the story inform the medium and design of the campaign. Blood-splattered backgrounds and bullet graphics gave life to the story. As storyteller Justin Crossman pointed out, the e-book design could not have come before the story. Perhaps the greatest challenge is measuring if and how content marketing delivers return on investment. The second is false metrics. Many marketers mistake page impressions, Facebook likes and other social media ratings as signs of success. Unfortunately, a ‘like’ is not the same as a sale. By using these metrics, marketers can build their social media presence, increase web traffic and extend their reach – without producing business results. The best way to overcome this challenge is by building loyalty. As Joe Pulizzi explained, “We need to build the audience or nothing else will happen”. Getting clients in the “loyalty loop” and measuring success by subscribers – not shares- is the secret to converting content. 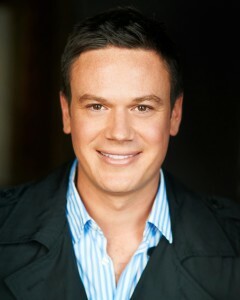 Andrew Davis called upon the example of make-up artist Lauren Luke to illustrate the importance of loyalty. Lauren Luke began selling make-up products to supplement her income as a London taxicab dispatcher. At first her products did not sell. She then decided to targets teenagers and began producing simple tutorial videos on how to create ‘celebrity looks’. The videos were hugely popular. Suddenly, there was an audience i.e. a market. Today her brand is worth 100 million. Content Marketing World has been an eye opening experience for me. High energy speakers matched their enthusiasm with practical tips and insights, and I’m excited to see where things will be at come Cleveland in September! Find out more about Content Marketing World, being held in Cleveland September 8-11, 2015. Register today and use code CMI100 to save $100. I agree with you. These are surely the biggest challenges of content marketing that most of the marketers face. I like your way of explaining each problem with a solution. Really appreciable and informative post.